CLAY COUNTY, Ind. (WTHI) - Finding a dog that can fetch is hardly news. We’ve found a dog that can fetch; that we think is worth a news story. If your pooch is nearby, bring them near the computer, they’re going to want to see this. 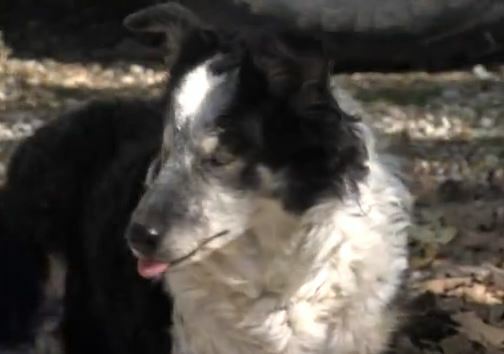 Chica is a happy border collie that lives on the Knox Farm, in Clay County. When we find her, she darts from the back door of the barn and weaves through the chicken and cattle. Chica’s favorite pastime is playing fetch with her owners Martha and Buddy Knox. It’s a sight to see, but it’s a site Chica can’t see. Chica has no eyes. Her eyes were surgically removed when she was a mere pup. So, how does a dog with no eyes see a moving ball, and bring it back to the feet of Martha? This is something Martha wonders as well, and so do the experts at Purdue University. Whatever it is, here is a hound that lives its life in the dark, but seemingly is seeing everything.